There are several vulnerabilities within the SSL and early TLS encryption protocols used by the majority of credit card processors. This has caused several high-profile breaches due to weaknesses within the protocols. Due to this vulnerability, the PCI Data Security Standards Council has mandated that all Acquirers, Processors, Gateways and Service Providers must provide a TLS 1.1 or greater service offering by June 2018. However, Merchant Link (your credit card gateway) has mandated that all of their merchants should be changed far in advance of their April 15th, 2018 cutoff. Click here for more information from the PCI Council. 1. Upgrade your system. If you are using MICROS Workstation 4 or 4LX models, you will have to upgrade to a used or refurbished model MICROS Workstation 5 or 5A. All Workstation model 4/4LXs will no longer be compatible and cannot be used. You will also need to upgrade to a newer version of the e7 software (version 4.2). Please contact us for a quote on the cost to upgrade. Please note: If you are still using Windows XP on your back-office PC, you will need to upgrade this as well. 2. Move to stand-alone credit card terminals provided by your current credit card processor. This will enable you to use your existing equipment, but no credit cards will be processed through MICROS/Oracle. 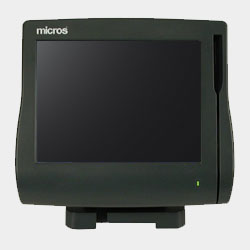 Please note: you will need to manually balance your credit cards terminals with the MICROS e7 nightly. We can assist with programming your system to affect this change for a small fee. Before I spend a lot of money to upgrade, if e7 still going to be around? Please see the notification on the viability of the e7 system. Can I buy used/refurbished Workstation 5/5a’s from you? Yes. We have a limited stock available from our vendors but cannot guarantee availability. If you are wanting to upgrade, please contact us ASAP so that we can reserve your hardware. If I want to convert to MobileBytes, how long would that take? MobileBytes is very easy to program and install. It’s possible to have some customers up and running in as little as two weeks.